Government has made no attempt to stop "bankruptcy tourism"
The Justice minister says that people are “entitled” to seek more favourable bankruptcy deals in the UK. THE GOVERNMENT HAS made no attempts to stop people taking advantage of more favourable bankruptcy laws in the UK. The Minister for Justice Alan Shatter told Fine Gael TD Liam Twomey that it would “not be proper” for the Irish government to make contact with the UK authorities with regard to Irish citizens claiming bankruptcy in the UK. “I can inform you that my Department has made no such representation, nor has it had any such contact with any UK authorities or agency in connection with Irish citizens availing of the UK insolvency regime as is requested in the Deputy’s question. It would not be proper for my Department to seek to intervene in civil law proceedings of this nature in another jurisdiction to which it was not a party. Shatter said that “bankruptcy tourism” had been discussed between EU justice ministers and that he had outlined how important it was that countries respect jurisdictional borders. “A company or natural person is entitled to change their centre of main interest, COMI, and could do so for the purposes, inter alia, of taking advantage of more favourable insolvency legislation,” said Shatter. 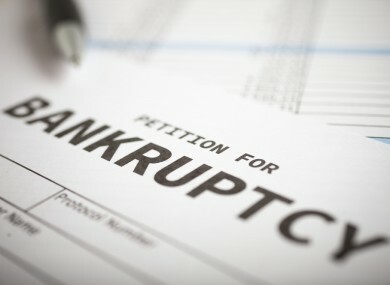 The issue of “bankruptcy tourism” has come up in recent months as high-profile business people such as Ivan Yates and Martin Doran have declared bankruptcy in UK courts. In total, over 130 Irish citizens or with Irish addresses have declared bankruptcy in the UK in the last three years. Email “Government has made no attempt to stop "bankruptcy tourism"”. Feedback on “Government has made no attempt to stop "bankruptcy tourism"”.